Enjoy four overnight stay, including breakfast buffet and four-course gourmet dinner, for the price of three nights. Valid in room category: Classic Double Room from Sunday to Thursday every week in February (except February 09 to 24, 2019), March and April. Limited availability. Only valid for new bookings. Benefits and/or discounts may not be combined. Upgrade upon arrival, subject to availability. 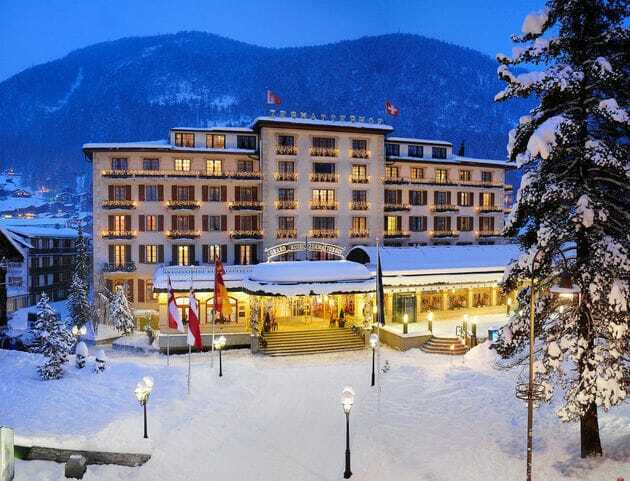 The Grand Hotel Zermatterhof is in the center of the enchanting mountain world of Zermatt. Built in 1879, the hotel combines tradition with the finest modern conveniences. The hotel has 69 rooms including 44 junior suites and suites, many with views to the breath-taking Matterhorn and each individually designed. Culinary diversity can be discovered in three restaurants, Alpine gourmet Prato Borni, Swiss cheese restaurant saycheese!, and Brasserie Lusi. Guests relax and re-energize in the stunning spa and wellness zone “Vita Borni”, featuring a large indoor swimming pool, sauna, steam bath, ice grotto, Jacuzzi, fitness room and 5 atmospheric treatment rooms.